Hair has never been a big deal to me. Wait, no, I take that back. I cried my eyes out when I cut my hair at the beginning of junior secondary school. Having being brought up with the narrative that my hair was my crown and glory, I felt very ashamed to watch the barber’s clipper dig into that crown and rip every shred off. 3 years later, after I got into senior secondary school, my hair was back, all was right with the world and my hair was just that – hair. Some people have short hair, some have long. 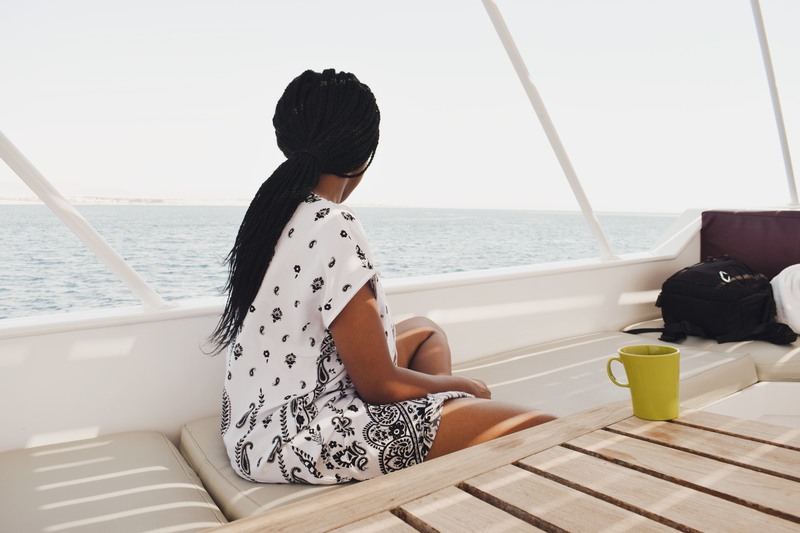 Some have natural non-relaxed hair while others have natural hair, softened and straightened by relaxers; some wear their hair in braids, some have weaves and wigs. There was no big deal about it all. Hair did not represent anything to me. As I grew older, I got to style it any way I wanted. I wore braids this week and curly long weaves that touched my back the next week. I had it straightened out one moment and considered letting the thick undergrowth run their course the next. No one asked any questions. All I got were… ‘You should braid your hair more’. ‘Short hair looks better on you’. ‘I love your bohemian wig’… It was all normal. I had braided my hair and was walking out of a cafeteria when I felt a slight tug on it. Turning around, I found my colleague red in the face. “I just wanted to know what it feels like”, she said. The next series of questions were ones I would get accustomed to in the course of my travels to predominantly non-black countries. ‘Is this your real hair?’ ‘How do you wash it?’ ‘Do you re-braid it every morning?’ and the occasional ‘Did you cut it?’ after I show up with a shorter hairstyle. My first reaction was amusement. It felt quite funny that a stranger, or in this case, a slightly familiar person, would reach out into my personal space to feel my hair without even thinking of asking first. I remember responding to all her questions in the best way I could and shrugging off the incidence as a one-off case. 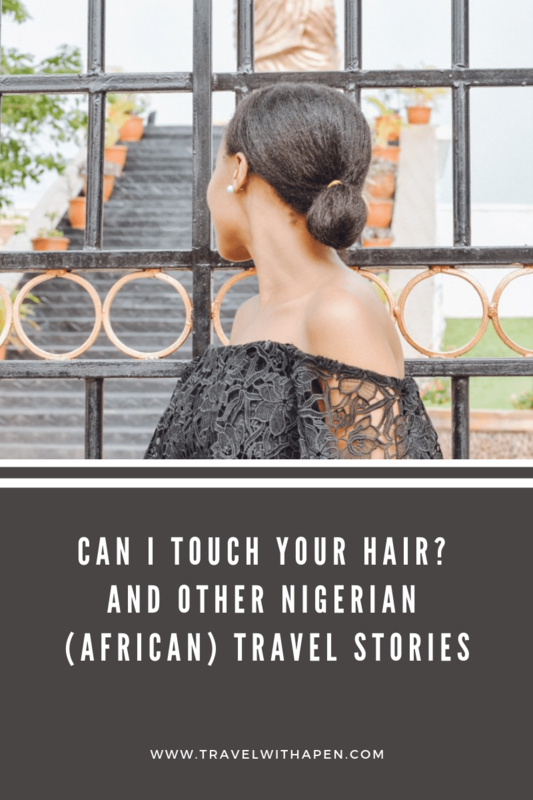 I would later find this to be inaccurate and from my travels and interactions with other black travellers, I would discover that several others viewed hair quite differently to me. That there was more to it and actions like the one above than I thought. Why, even more than being an invasion of personal space, it is extremely offensive and racist to touch (black) people’s hair and why one shouldn’t even ask. According to these views, touching black people’s hair does not stem from curiosity, and even if it did, the misrepresentation of black hair in the media was to blame for this fascination. Living in Nigeria, I cannot relate to this narrative because hair like mine has always been well represented. However, I cannot help but think about it each time I travel and have to deal with many questions about my hair. On the other end of the spectrum is a conversion that I have to come to hear over time in Nigeria. In this case, the fascination is with natural hair. The lack of which indicates surrender to colonialism and oppression, and a lack of pride in one’s African heritage. Ultimately, the conversation still boils down to race. In all these, I have failed to view hair in any racial light. 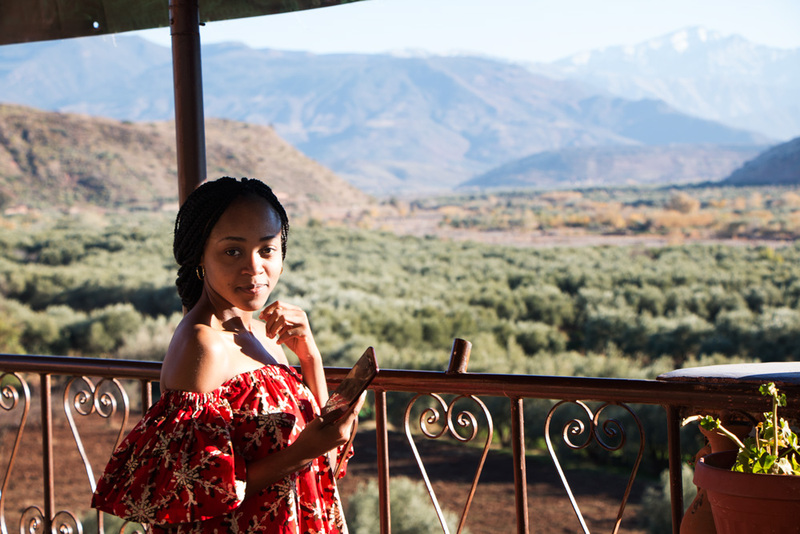 I would read articles that do so and think about being in India, experiencing the same fascination and curiosity about my hair as being in France. Asking to touch my hair isn’t offensive to me. If a hundred people asked to do so in a single day, it will get quite annoying but this is never the case. I would also think about my own natural relaxed hair. How choosing to have it this way has nothing to do with any narrative forced down my throat by the media. One might argue that I don’t know enough about the deep impacts of social racism to come to this conclusion. I would argue that for now, this ignorance is bliss and that hair, for the most part, is still just that. Hair. 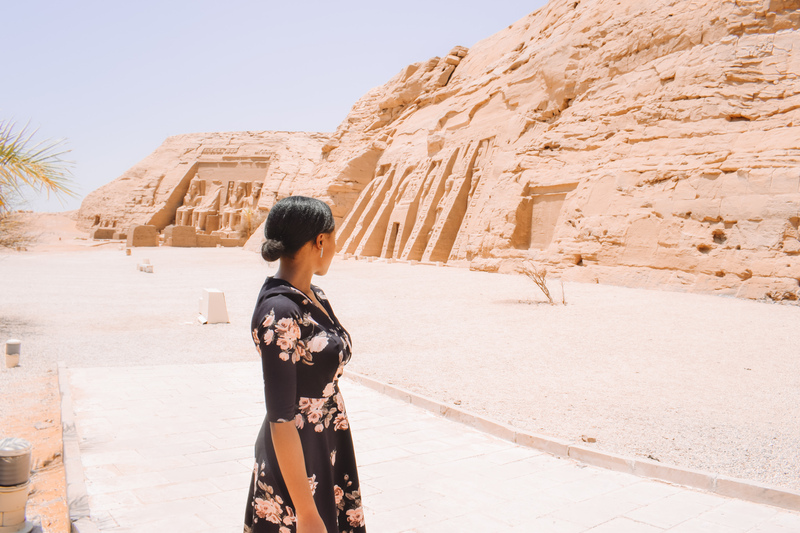 In the latest episode on our travel channel, Through our Eyes, Mofe and I talk more about this and some other questions we get as Nigerian travellers. We know that some of these aren’t peculiar to Nigerian travellers alone. We would love to hear about your experiences as well and if we share some of them in common. Do you find it offensive when people ask to touch your hair? Hells yeah! Don't even ask me! 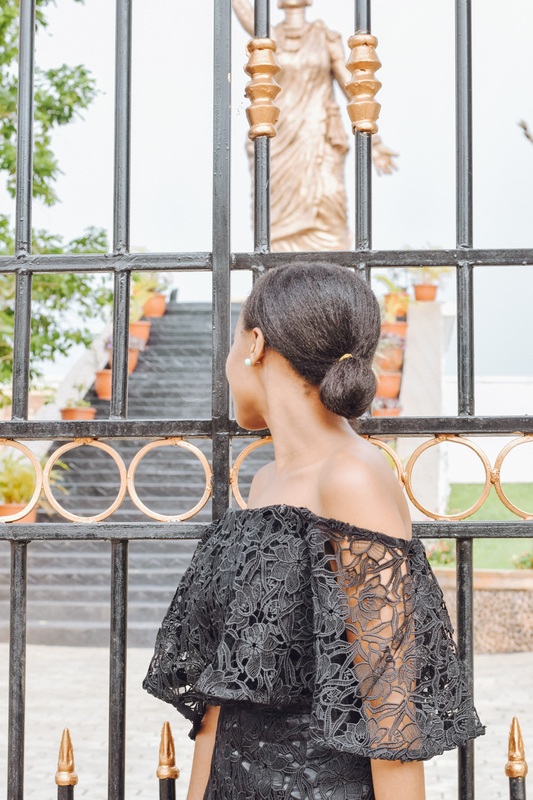 What are some of the questions you’ve gotten as a Nigerian Traveller? Hmm, this is interesting. From your comment and the Rioba’s comment below, looks like the topic of hair and whether or not strangers touch it is not a foreign ‘issue’ alone. Imagine this happening to you a few times a week. It’s annoying. SMH..
Haha, that must have been so annoying – and painful! I cringed thinking about it. I don’t really know much about hair grades but I just imagine someone digging through my non-relaxed hair, I would scream! Hairdressers should know better!